I had a few qualms about this novel, and I'm really sad to say that. I wanted to love this book. I had heard nothing but good things about it, and was really looking forward to reading it. The first time I tried, I stopped about sixty pages in losing some interest and having to return it to the library anyways. The second time, reading my pretty purchased copy, I ended up doing the exact same thing. I was super interested at the beginning, but about sixty-seventy pages in, I just couldn't care less. With some encouragement, and determination to actually finish this book, I continued and ended up enjoying it by the end. But, I can't say I loved it, which is kind of disappointing. I wasn't a huge fan of Meg. I found her to be a bit whiny, slightly self-centered (or centered on her own wants), and a little damsel-in-distress. I kept wanting her to stand up and DO something, as opposed to getting everyone to do the dirty work for her. By the end, I had to give her a nod for pushing herself, and actually growing stronger. I always appreciate character development, and was glad to see it shown through Meg. To contrast my mixed feelings towards Meg, I have to say I loved Grimalkin and Puck. Seriously, those two made the book for me. I loved their banter, loved their voices, and just loved their characters in general. I'm really excited to see more from them. Ash, I also liked, particularly for his bravery and honesty. Those are two qualities I value in a character, and truly in people in general. 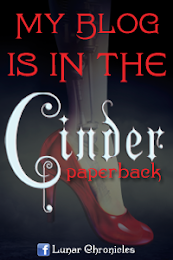 The story, well, I do enjoy faerie novels. I like to read the different takes on the classic structure, and adored the A Midsummer's Night Dream elements in the story (love me some Shakespeare). I loved the idea that the fey were created from the dreams of humans, and that the iron fey from technological advances. I thought that was a really good premise, and one I had yet to read about. Meg's search for her brother, although valiant, had me frustrated at times. But, I loved Ethan to bits. What a cutie pie! I like the potential this series has, and from what I've heard it really lives up to it. 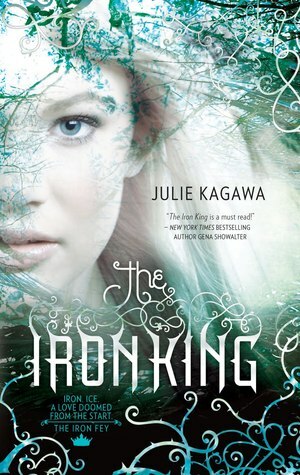 Overall, I wasn't a huge fan of The Iron King but it won't stop me from continuing the series. It had its moments of delight, frustration, and laughter, and although it dragged for me it kept me intrigued. I know it can only get better from here. 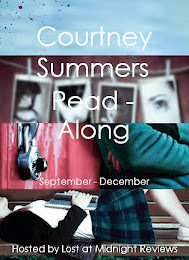 And I'm excited to see how the story develops, the characters change, and how the world evolves in the next few novels. I really loved this series right from the beginning, but I have heard a lot of people say they had a hard time with The Iron King. Let me assure you the series only improves as it goes on. meg especially grows as a character. The Iron Queen and Iron Knight are my favourite two! I used to really dislike the thought of reading faerie books before, but after reading The Iron King, I started looking for more books featuring them because I like the book so much! lol, I even got my Mom to read the Iron Fey series, and I think she's on The Iron Knight now... I hope you continue reading the series, Ciara! They only get more and more exciting!